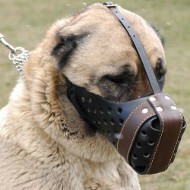 This dog muzzle fits Dogs with broad snout like Caucasian Shepherd. 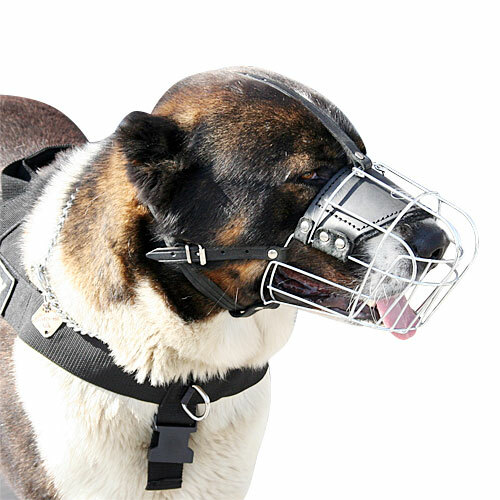 This well-fitting, comfortable dog muzzle for Caucasian Shepherd is made based on special strong metallic construction to maintain the shape of the wire dog muzzle aid to assure long life for the muzzle. Due to great design the muzzle provides the dog with best ventilation available among muzzles. 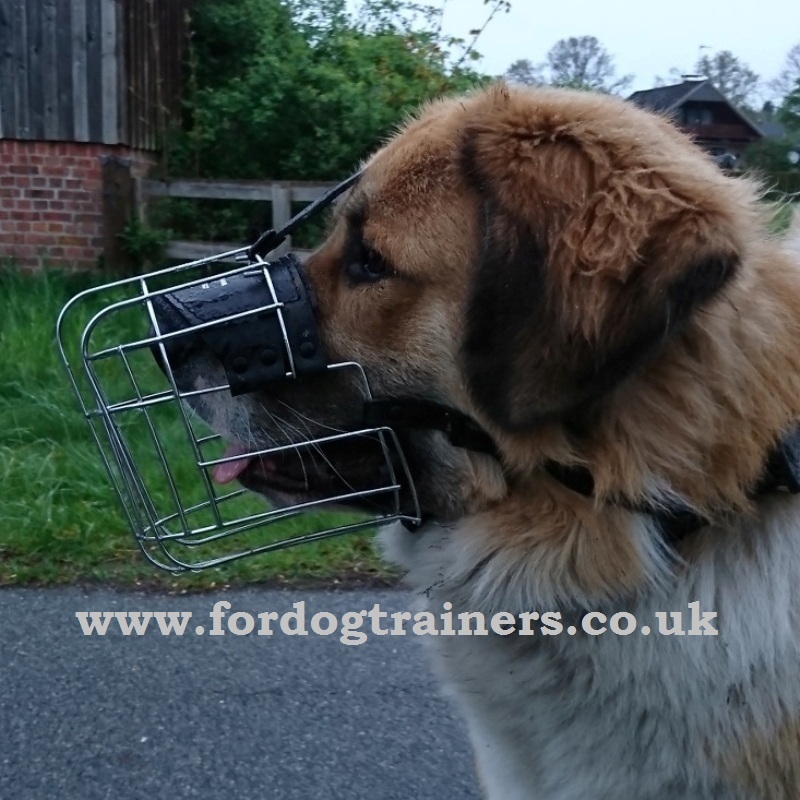 This dog muzzle for Caucasian Shepherd is very comfortable for your dog and is also very practical for training, traveling, patrolling, guarding and visiting the vet. 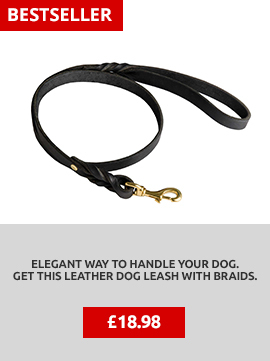 This muzzle is completely safe and non-toxic. 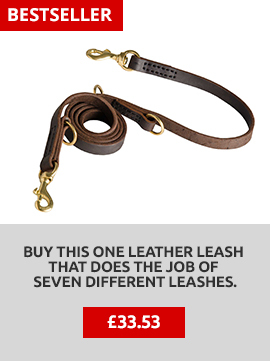 Among the advantages: inhibits biting, chewing. Extremely difficult for the dog to dislodge with it's paws. It is never advised to leave your dog unattended while muzzled. 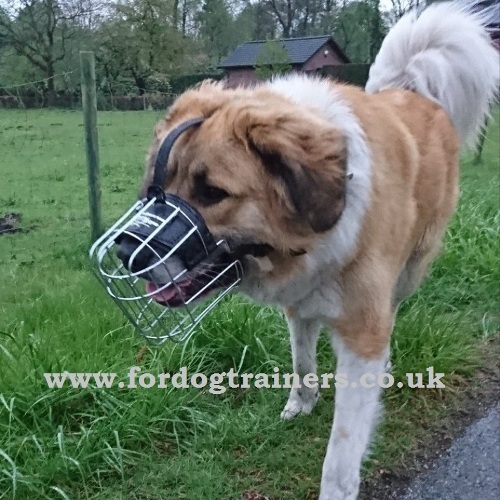 The wire dog muzzle for Caucasian Shepherd is padded on upper nose area with soft felt for maximum comfort of your dog and to prevent rubbing. In our dog shop you can find large collection of dog muzzles: leather dog muzzles, baskerville dog muzzles, dog muzzles biting, nylon dog muzzle, dog bark muzzle, bull terrier muzzle, dog basket wire muzzles, leather dog muzzles for large dogs , dog muzzles for large dogs, dog muzzles for small dogs. Swimming involves a lot of breathing which demands complete air flow and the ability for the muzzle to with stand corrosion after water contact. If you decide to purchase a muzzle and allow your dog to swim, please remember it is your responsibility to observe your dog constantly and be close by during this activity. 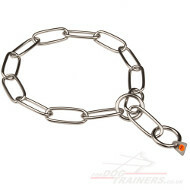 Please view our collection of dog muzzles. Muzzle for our Caucasian fits perfectly and it is convenient to a dog when wearing, because there is a soft felt padding in it. 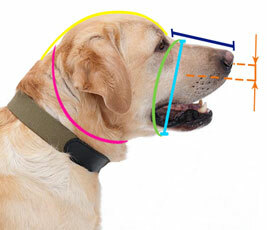 If all measurements are correct, then the dog can breathe sticking his tongue out, drink, eat, and sniff. We ordered a muzzle with a quick release, so the dog gets used to it faster because the muzzle can be quickly taken off. It has so many great features that we will definitely reccomend it. 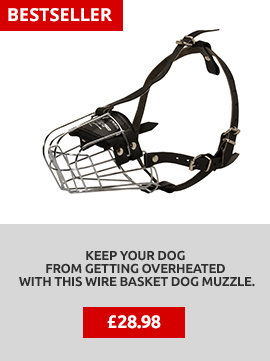 You cannot buy such muzzles in any store at such affordable prices. I am sure to order more again. Thanks a lot!